Editors note: This article originally appears on the appeared on the Foreign Policy Association website. The Lebanese government recently issued a policy statement that declared Hizballah’s arms to be a legitimate part of the country’s defenses. In 2006, Hizballah managed to repel an attack from Israel, albeit one that the Party itself had incited. Still, many Lebanese view Israel as the biggest external threat to their safety and national security, and view Hizballah as their most capable defender. Prime Minister Saad Hariri’s government did not have many options when it made its endorsement of Hizballah. The choices were between trying to disarm the group, tabling the issue for the future, and embracing the Party and its weapons. 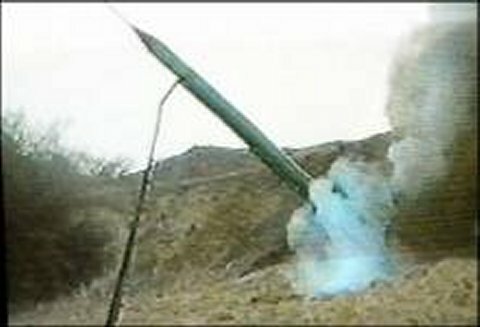 The first option was a not viable, because at this point Hizballah is not willing to disarm on its own, and the Lebanses Armed Forces (LAF) is incapable of disarming them by force. The second choice, procrastination, was also not feasible because the issue was sure to cause friction and controversy in the future, and would obstruct any government progress until it was settled. So Hariri did they only thing he could by legalizing Hizballah’s weapons. This way, Hizballah will likely be more cooperative in the future because the groups insecurity has been assuaged. Or so the thinking goes. The parties that are most upset about this are the United States and Israel, but this won’t really affect the former’s relationship with Lebanon, and the latter all but forced Hariri’s hand into this deal. In November, Israeli Defense Minister Ehud Barak issued a statement that Israel would hold all of Lebanon accountable for the actions of Hizballah. So, with Hariri being unable to disarm the group, unable to accomplish anything without their cooperation, and faced with the prospect of Lebanon and Hizballah’s fate being one in the same in Israel’s eyes, Hariri decided that he couldn’t beat Hizballah and that he was going to join them, so to speak. No country wants independent militias operating within its territory, and Hariri must have swallowed hard when he made his deal with Hizballah Secretary General Sayyed Hassan Nasrallah. That brings us to Lebanon’s Palestinians. There are between 250,000 and 400,000 Palestinian refugees living in Lebanon. Most of them live in camps, and there is agreement with the government that, for the most part, the LAF does not enter the camps and that security in the camps is provided by the Palestinians themselves. It’s akin to the United States’ relationship with the Native Americans. They have special rules and polices for the reservations, and they are allowed a lot of leeway in terms of how how they operate. For most crimes, if you get in trouble on the reservation, you have to answer to the tribe. However, crimes committed outside of the reservations are subject to normal US laws. This seems acceptable as long as whatever arms the Palestinian’s maintain are for security purposes only, and that the armed groups stay within the camps . The problem is that there are a number of militant groups operating in the camps who answer to different people, who have far more weapons than they would need for mere security enforcement in the camps, and some of the groups even still operate openly outside of the camps. Some groups represent only the Lebanese Palestinians or the camp that they are in, but others have different masters. Fatah al-Intifada and the PFLP-GC are backed by Syria, and other groups remain loyal to Hamas or Fatah in the Palestinian Occupied Territories. Due to the history of Lebanon, particularly the last 30 years, people may think that it is natural and reasonable for assorted militias to still be operating in Lebanon. The PLO was there, the Syrians were there, Hizballah is there, and all these Palestinian militias are there. But what other stable and modern nation on Earth would allow not one, but possibly dozens of militias to operate within its borders? And why is it acceptable for Lebanon? In most countries, the government maintains a monopoly on the use of force. Due to the previously mentioned circumstances the Lebanese government had to hand part of the monopoly over Hizballah. Call it an “oligopoly of force”. In that case, Hariri didn’t have much of a choice, but with the Palestinian militants, he does. The PLO wreaked havoc on Lebanon when it used the country as a battlefield in its war with Israel. The group had already worn out its welcome in Jordan, and in Lebanon the story was more of the same. Today, the Lebanese have mixed feelings towards the Lebanese Palestinians. They sympathize with them in their plight, but they are still resentful from all the destruction that their leadership wrought upon Lebanon. It is not in Lebanon’s interest to have independent militias operating within its borders, and disarming them should be seen as a measure to improve security and stability. The Palestinians that live in the camps are very poor and live in awful conditions, and there is a high unemployment rate among young men there. This is the recipe for breeding extremism and unrest. One can’t help but to draw comparisons with Hizballah. Hizballah was formed by marginalized Lebanese who wanted to improve their situation and be a resistance to Israel. Although Hizballah is influenced by its patrons in Damascus and Tehran, the group maintains it independence, especially in relation to the Lebanese government. Some people claim that Hizballah, with its extra-governmental militia, makes Lebanon less secure, not more. But there are many differences to be considered as well. To begin with, fair or unfair, the Palestinians are Palestinians and not Lebanese, and that makes the militias foreign entities. And Hizballah represents a large portion of Lebanese voters, while the Palestinian organizations represent zero Lebanese voters. Disarming Hizballah is politically untenable, while disarming the Palestinian militias has broad support. Hizballah is the most capable group in Lebanon to defend against an attack from Israel, while the Palestinian militias would likely offer little more than fearless yet token resistance. For Hariri, disarming the various Palestinian militant groups is a viable option, while disarming Hizballah is a practical impossibility. And while it might be acceptable to allow the Palestinian groups in the camps to keep their weapons, having Palestinian militias operating outside the camps throughout Lebanon is not. In 2007, Fatah al-Intafada was involved in a battle with government forces that left hundreds dead and destroyed the Nahr el-Bared refugee camp. This incident illustrates just how unstable the situation has become and how much the government needs to get things under control. This is where Hariri needs help, and here he should cash in on his deal with Hizballah to get it. For the sake of national harmony, Hariri acquiesced to Hizballah by stating formally that Hizballah is Lebanon’s legitimate defender from Israel. So if the LAF and the other government agencies are handling the remainder of Lebanese national security, where do the Palestinian militias fit in to the equation? Hizballah has pattern of respecting the legitimacy and the jurisdiction of the LAF, so it would be interesting to hear the group take a stance on this issue that would be favorable to the government. Complicating matters is that, as previously mentioned, Fatah al-Intafada and the PFLP-GC are Syrian creations, so there will be some resistance coming from Damascus. Lebanese leaders should be less affected by Syrian influence than in years previous, however, even though the Syrian army was expelled from Lebanon in 2005, Syrian President Bashar Assad has shown no signs of accepting a diminished role for his nation there. Recently, the Lebanese government has been talking up the notion of disarming the militias, but when Fatah al-Intafada stated that it was open to negotiations, the government responded grimly by telling the group that “Lebanon’s sovereignty cannot be negotiated”, to which the group responded that it would not disarm. This exchange should be seen in the context of the Syrian-Lebanese relationship, and is thoroughly examined here by the Daily Star’s Michael Young. Indeed, Hariri just made his first trip to Damascus since becoming Prime Minister. His meeting with President Assad must have been sureal, as Hariri believes that the Syrian president is behind his father’s assassination. Hariri must have had to do a lot of tongue biting on his trip, and he did it for the good of Lebanon. 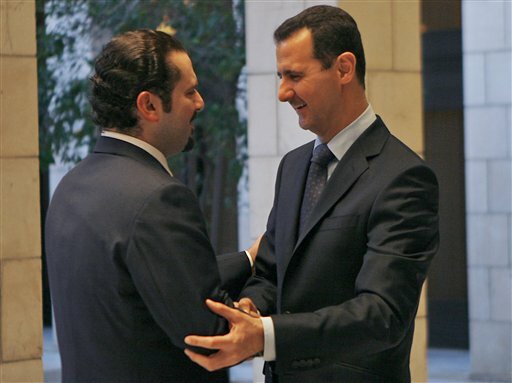 But maybe this tough stance taken against the Palestinian militias, some of which are direct Syrian agents, is all just a stern-but-subtle diplomatic rebellion, a sign that Hariri may be willing to deal with Syria, but that he has not forgotten that they are behind his father’s death. 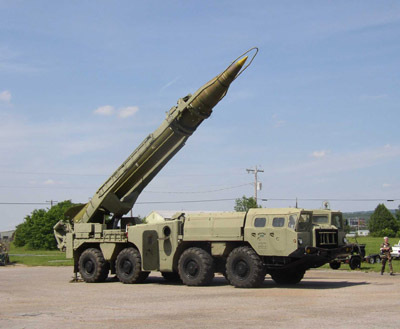 The Lebanese government made a deal with Hizballah allowing the group to keep its weapons and share the responsibility for Lebanon’s security with the LAF. This means that between Hizballah and the LAF, Lebanon’s safety is covered. Where do the armed Palestinian groups fit in? And is it worth it for Lebanon to have these groups operating within its borders? These groups don’t have the organization or the discipline that Hizballah has, and they do not represent any Lebanese. Indeed, two of the most prominent groups answer to Syria. So now, an expression of dissatisfaction with them becomes an expression of dissatisfaction with Syrian influence in Lebanon. And this is where things get interesting. Will Hizballah go along with the Lebanese government, or will they do the bidding of Damascus? After the Lebanese government officially legitimized them as a defender of Lebanon, will Hizballah state that there is room for other militias in Lebanon too? Hizballah’s leaders are extremely wily, but are they heading for a point where they may have to declare there allegiance to Lebanon or risk being exposed as foreign agents? Does Lebanon have the independence and does Hariri have the political will to resist the power of Damascus? Which side will Hizballah come down on? Only time will tell. The old Hizballah, if there is such a thing, might have come out with a statement supporting the other militias as brothers in arms against the Zionist entity. But today Hizballah members make up a large part of the government, and they fought hard to have their armed forces declared legitimate. As this situation plays itself out in Lebanon, we should keep in mind that Hariri’s rejection of the militias represents his rejection of Syrian influence. Perhaps the young Prime Minister is just using the militias as a bargaining chip for some other end, but it’s clear that their presence is a blow to Lebanese sovereignty and a threat to Lebanon’s stability.